Almancil holidays transport you to a pretty village, a few miles inland from the resort of Quarteira, in the Algarve on Portugal's southern coast. Holidays to Almancil can be taken at any time of year as the summers are long and hot and the winters mild. The busiest months are from April until October, with temperatures rising to low thirties at the height of the season. It is a fairly upmarket resort with superb facilities so that our cheap Almancil holidays give particularly good value. Holidays in Almancil are very popular with couples as families often prefer to be closer to the sea. If you wish to explore the local area, including the wonderful sandy beaches, car hire is recommended. 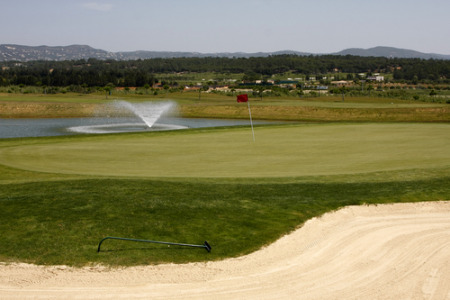 Almancil is also a popular base for golfers as there is a choice of courses in the vicinity. Located among sweetly scented pines, Almancil holidays offer a level of peace and relaxation not often found at the coast. With good accommodation and restaurants catering for all tastes, our low cost Almancil holidays are sure to please. Nightlife is low key, reflecting the resort's popularity with couples. Shopping is adequate and supplies all your holiday needs. If you wish to escape from uncertain, and often inclement weather, you may be tempted by our Almancil holiday offers. For further information, and to view our best Almancil holiday deals, please use the search facility.